The Really Kid Friendly Blog: Win tickets to Peppa Pig Live! 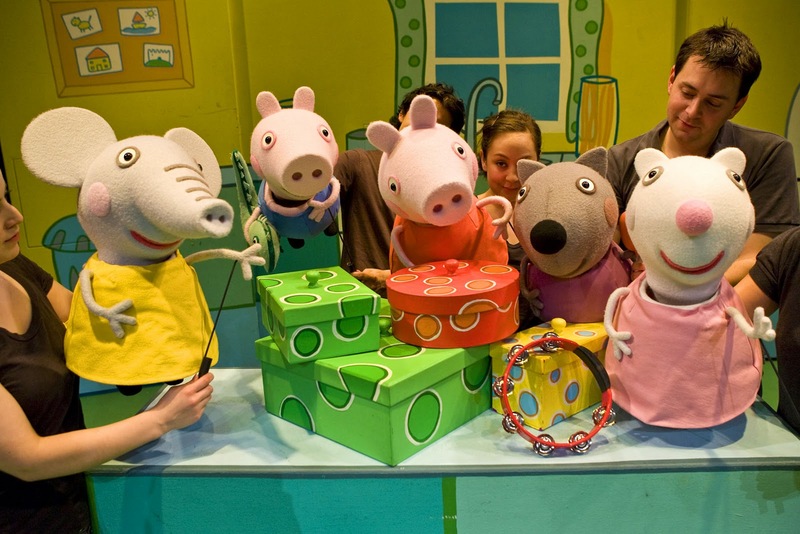 Peppa Pig makes her West End debut this Christmas at the Criterion Theatre, Piccadilly in her sell-out stage show Peppa Pig’s Party. To celebrate, ReallyKidFriendly.com and the show’s producers are offering one lucky winner a family ticket (for 4 people, minimum 1 adult) on Tuesday 30 November at 11 a.m. To enter, you'll need to answer to this skill-testing question before midnight on Tuesday, November 2nd 2010. Q: What is Peppa’s favourite activity? Post the answer on our Facebook wall, tweet your answer to kidfriendly_uk (use #peppapiglive), or leave a comment below - whatever suits. We'll draw a winner at random from all the correct answers. 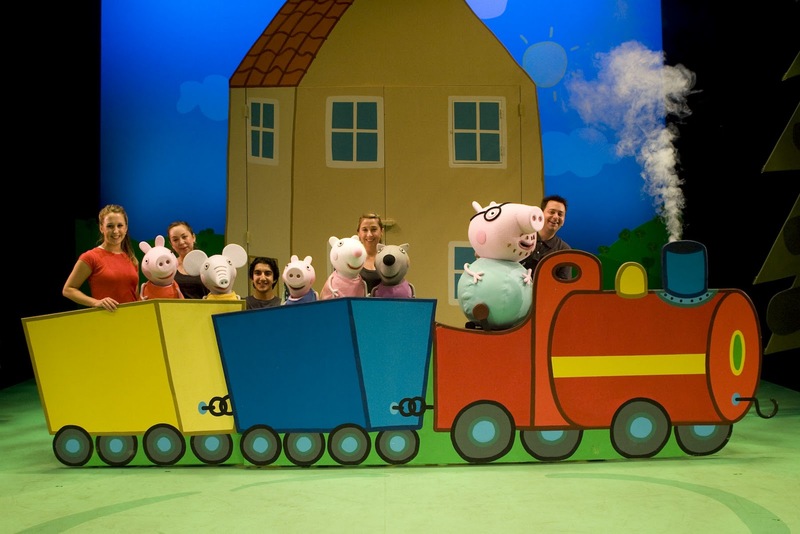 Peppa Pig’s Party, the lively puppet show based on the BAFTA award winning TV programme for toddlers and preschoolers has been a massive success, selling out venues across the UK since September 2009. 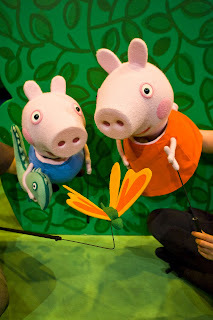 Peppa is a playful little pig who lives with her little brother George, Mummy Pig and Daddy Pig. Through everyday adventures she plays games, makes new friends and enjoys her absolutely favourite activity – jumping up and down in muddy puddles. Peppa Pig’s Party is about a very special day. 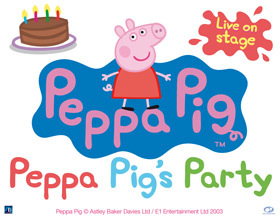 It’s Peppa Pig's birthday and a chance for all her young friends to join in the fun with Suzy Sheep, Danny Dog and Emily Elephant for her perfect party. This charming, original and imaginative show is full of brand new songs, muddy puddles, and lots of oinks. Peppa Pig © Astley Baker Davies Ltd / E1 Entertainment Ltd 2003. Answer - jumping up and down in muddy puddles! What a fun prize! The answer is jumping up and down in muddy puddles! This is one of my daughter's favourite shows. The answer is jumping up and down in muddy puddles! The answer is jumping up and down in muddy puddles. Snort. My daughter is Peppa Pig crazy. @Deer Baby - I love the Snort at the end of your answer. LOL. Answer - jumping up and down in muddy puddles. My daughter is addicted to Peppa and crew! Count me in!